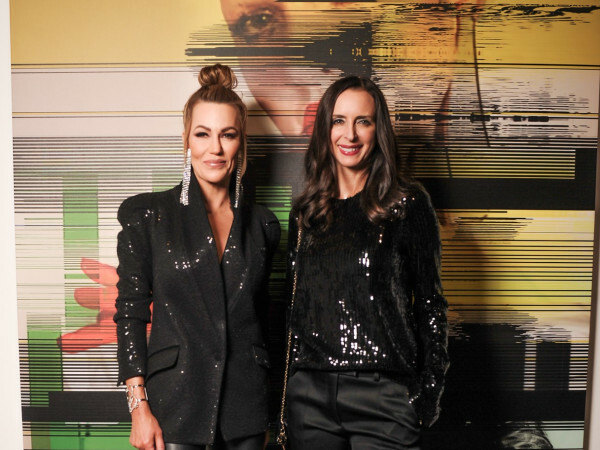 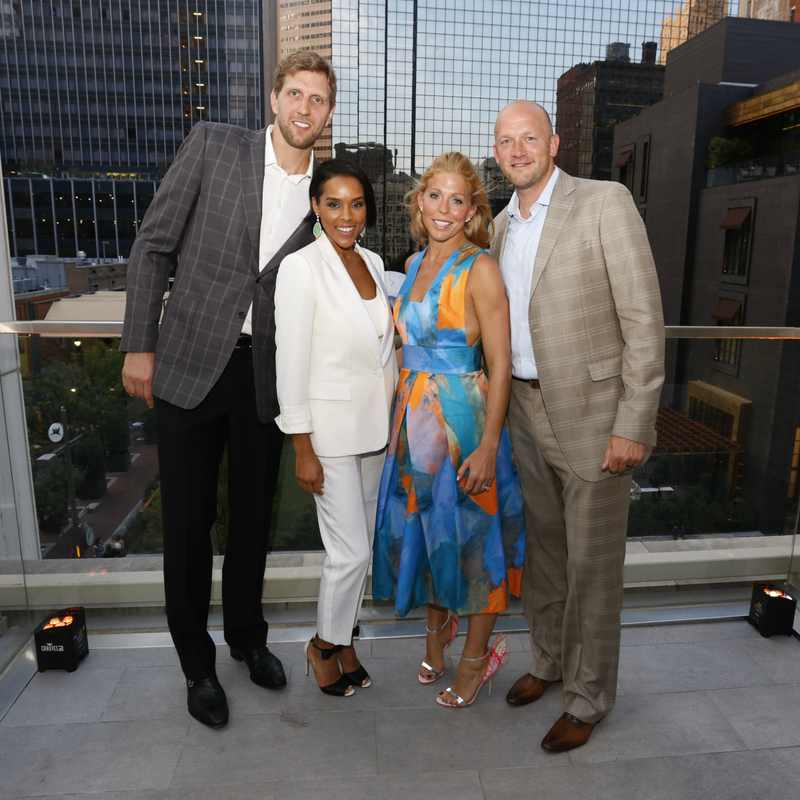 The 411: Dirk and Jessica Nowitzki kicked off the weekend by welcoming Dallas Mavericks teammates and other major donors to an exclusive party at The Joule hotel. 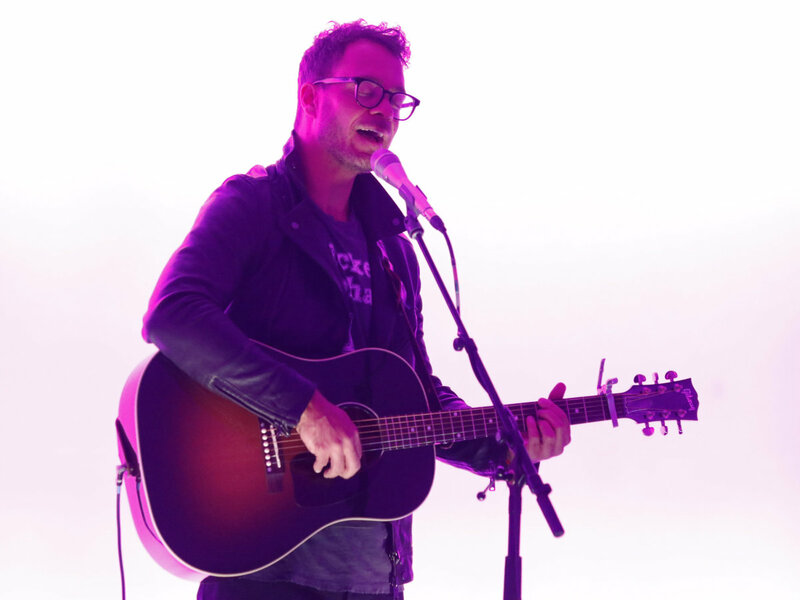 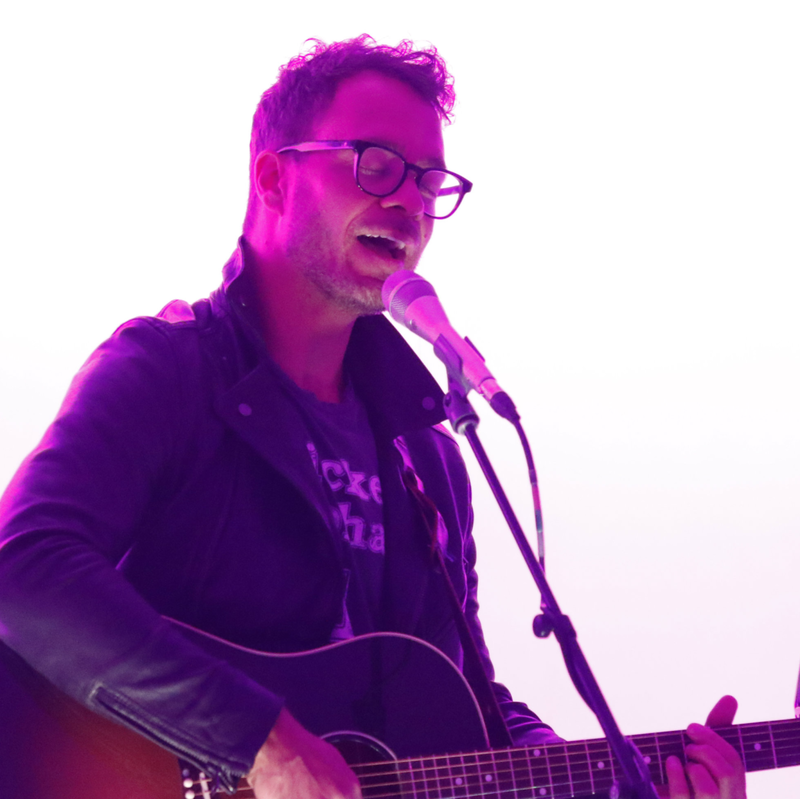 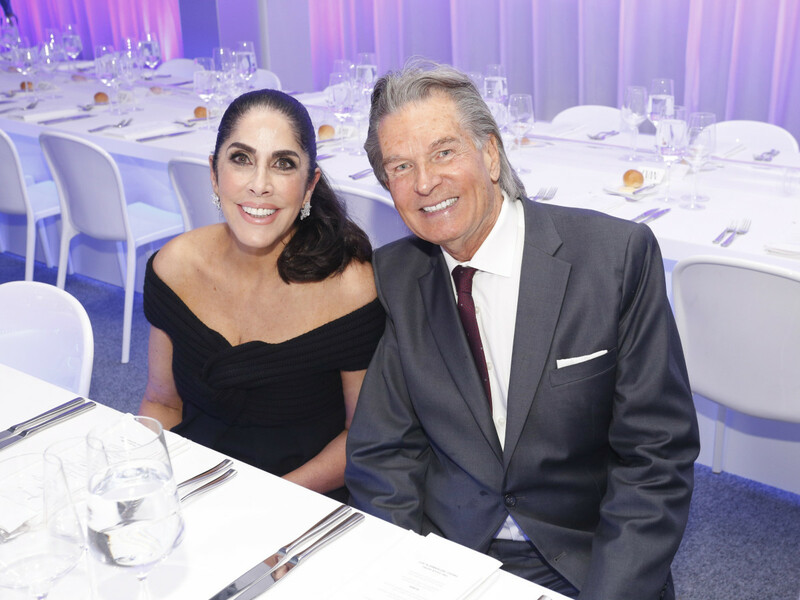 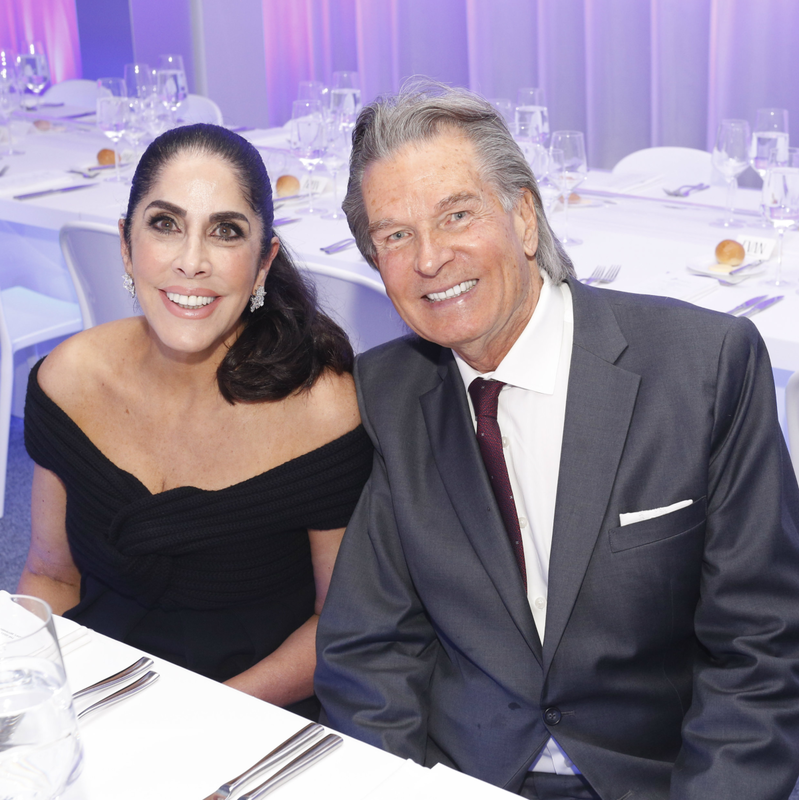 Post dinner, guests were treated to a lively auction (not surprisingly, there were several big-ticket sports items) and an intimate performance by Amos Lee. 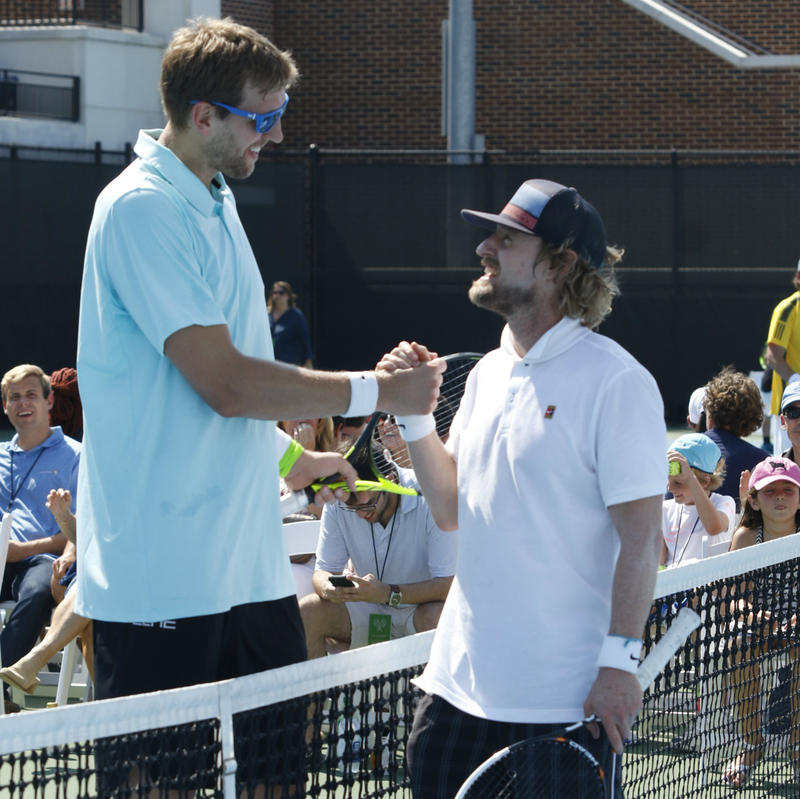 The following morning, Dirk and friends headed to the courts at SMU Tennis Center to entertain a sold-out crowd. 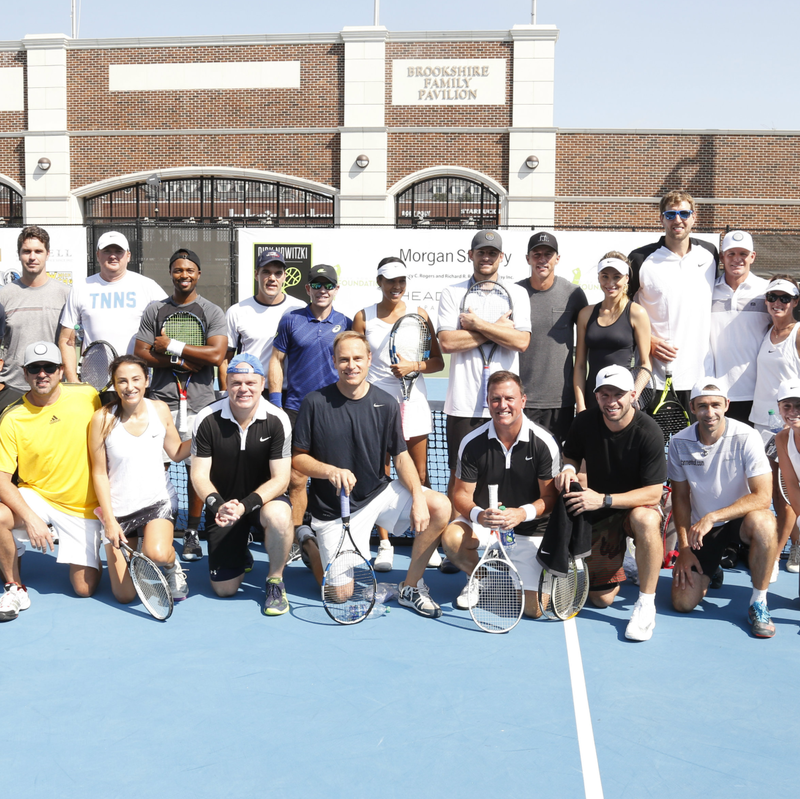 Tennis pros and amateurs battled it out in the 95-degree Texas heat. 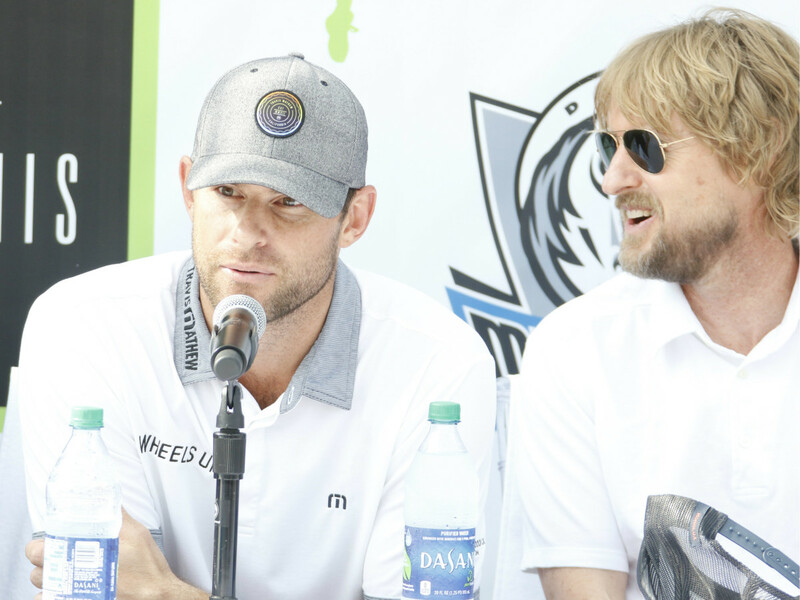 Pro tennis player Donald Young and amateur Justin Whitman defeated Mavs point-guard J.J. Barea and amateur Jim McKinney in the championship match. 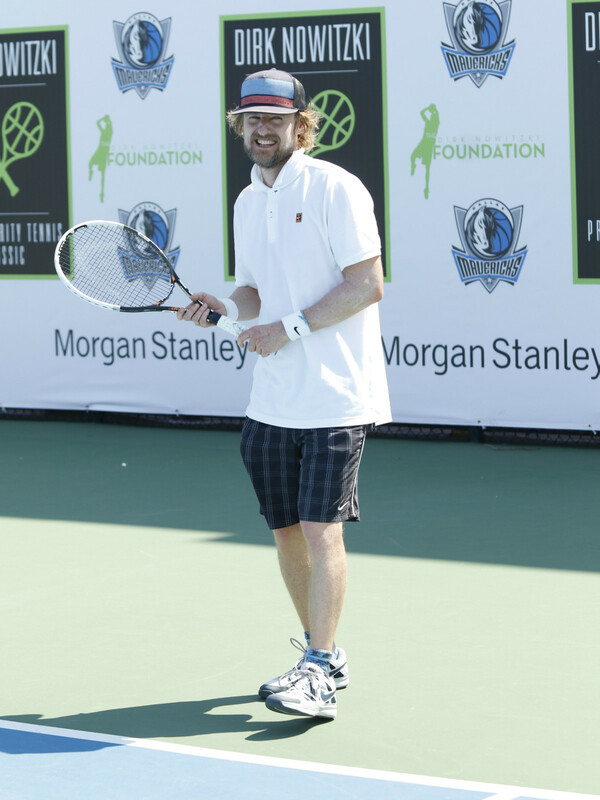 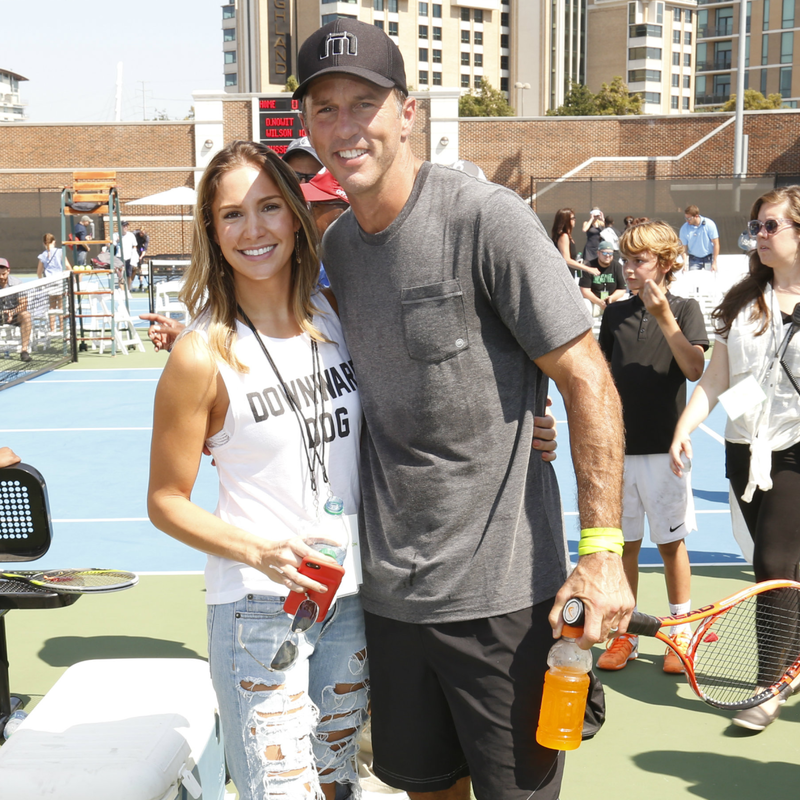 Also participating in the weekend events were Dallas native and actor Owen Wilson, International Tennis Hall of Fame inductee Andy Roddick (who won MVP at Dirk’s Celebrity Baseball event in June), former Dallas Stars legend and Hall of Famer Mike Modano, and current and past tennis pros Tommy Haas, Michael Russell, Benjamin Becker, and Mark Knowles. 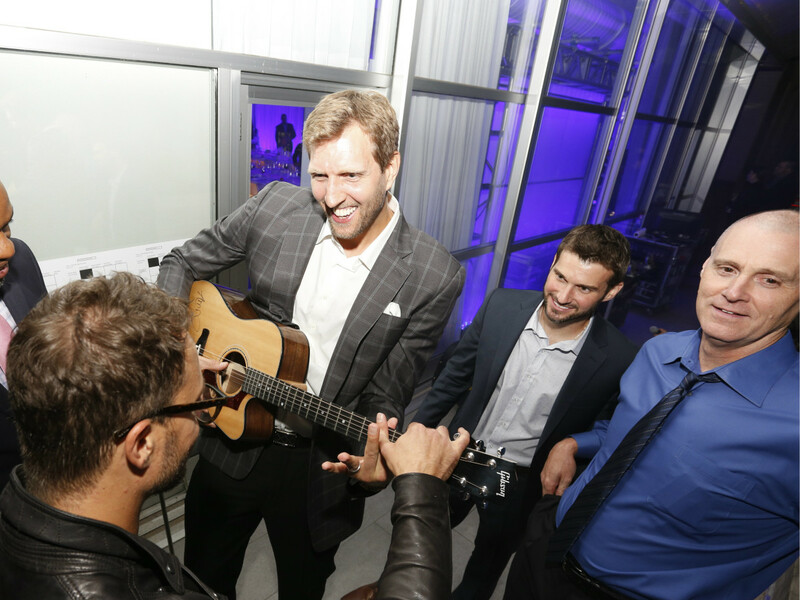 Nowitzki decided to donate funds raised to families affected by Hurricane Harvey. 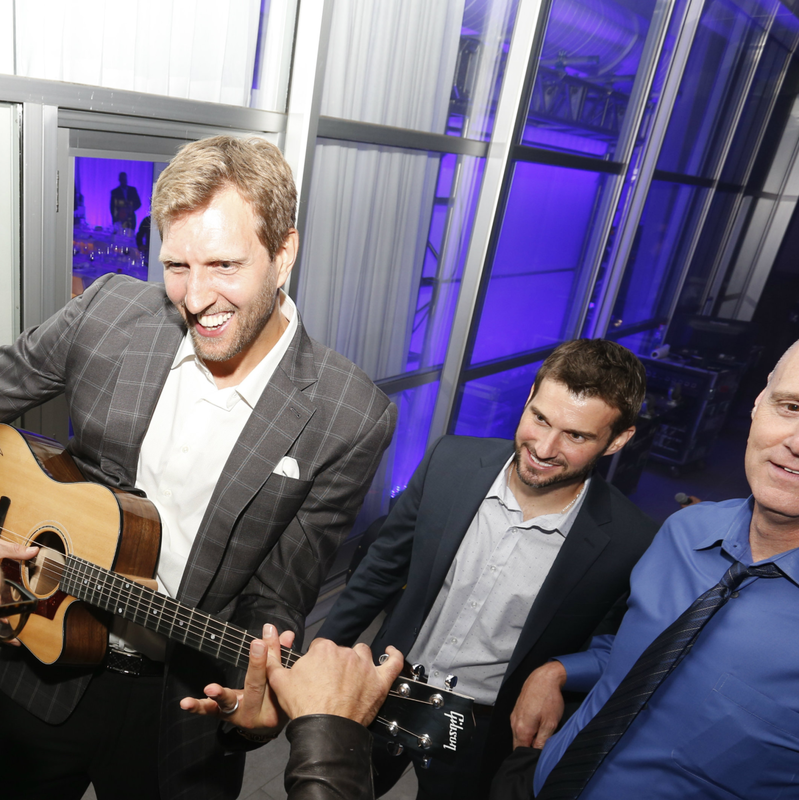 Mavs owner Mark Cuban generously matched the proceeds of $960,000, helping to raise a total of $1.92 million. 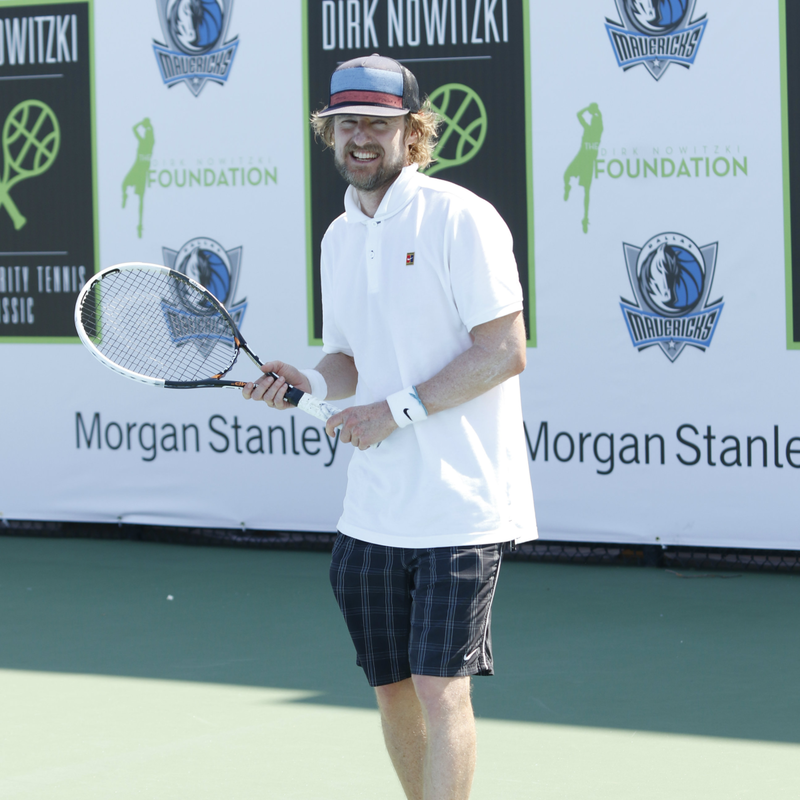 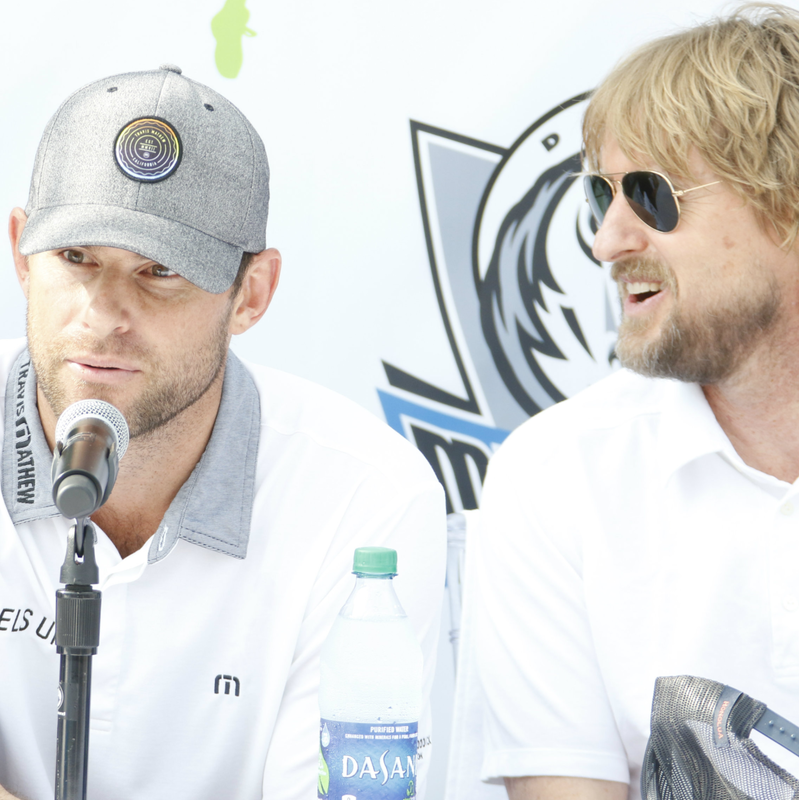 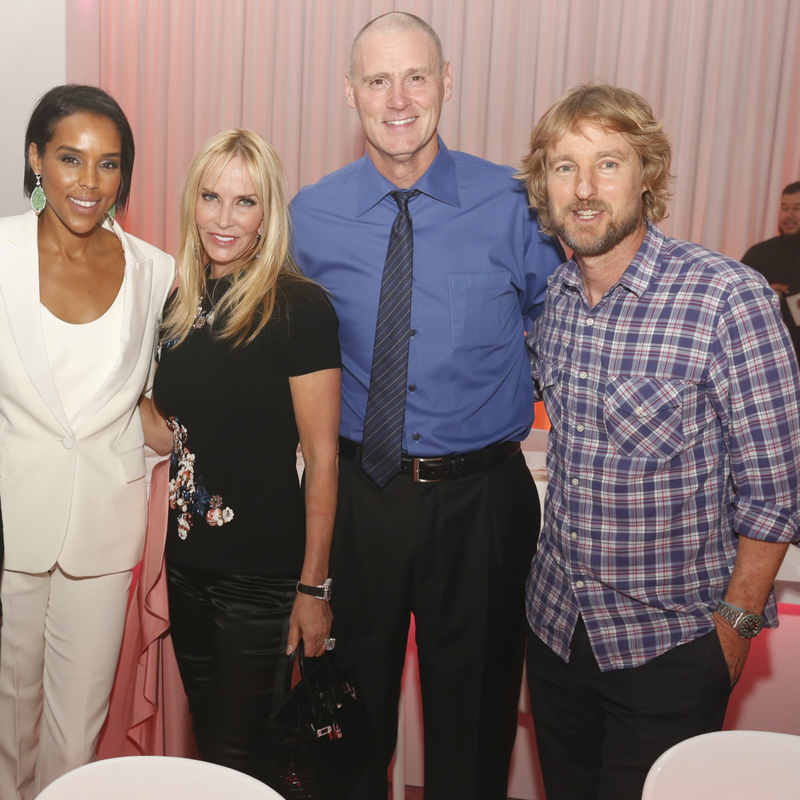 Learn more about Dirk's foundation here. 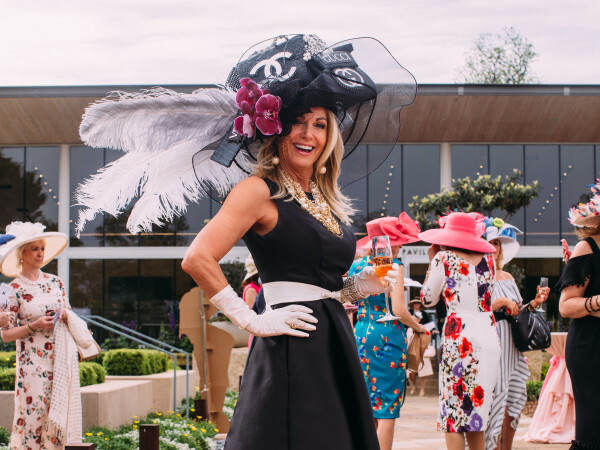 Who: Tiffany Cuban, Charlotte Jones Anderson, Sue and Jimmy Gragg, Kimberly Schlegel Whitman, Nancy Rogers, Devin Harris, Angela Ruble, Rick Carlisle, Donnie Nelson, Jamahl Moseley, Harrison Barnes, Dwight Powell, Brian Cardinal, and Scott Tomlin.